Every puppy needs to be properly trained and socialized so she can grow up to be a confident, calm, and obedient adult. But there are certain commands that you should include in your puppy training routine, and they’re listed below. Remember to always approach this training with a firm but patient attitude, providing loads of positive reinforcement in the form of rewards and praise. One of the first tricks that most pet owners teach their dogs is the “sit” command. First, kneel down in front of the puppy and hold out a treat in front her nose. Then say the word “sit” as the treat is slowly lifted above your puppy’s head. As she lifts her head, she’ll likely end up sitting, but if she starts backing up, place your hand gently on her rump and guide her to a seated position. Provide praise and reward her with the treat. 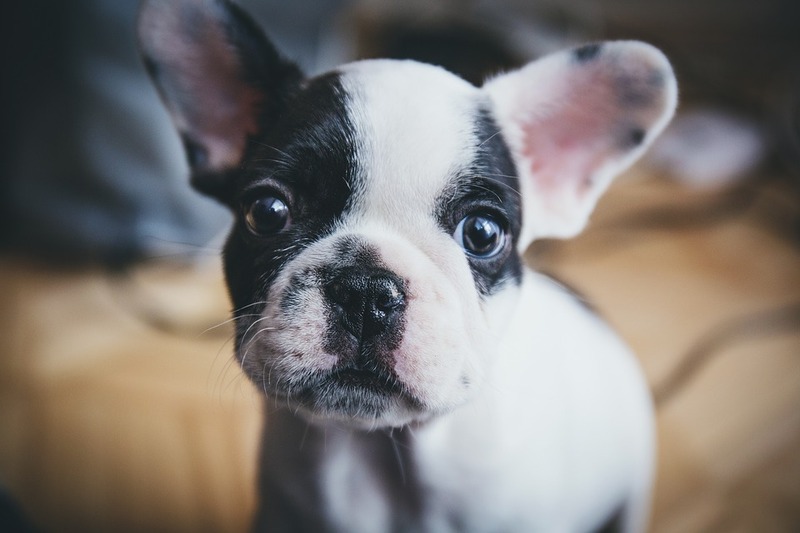 Once your dog has mastered “sit,” you can move on to teaching her how to “stay.” Start by telling your dog to sit down, and then open the palm of one hand in front of you and say the word “stay.” Move back a few steps and give your puppy a treat if she doesn’t move. Every time you teach this command, move a few steps further back, giving a treat every time she stays, even if it’s only for a couple of seconds. Another important command to teach your dog is “come,” which will ensure that she’ll follow you when you want her to. Start by keeping a collar and leash on your puppy. Then get down to her level and state “come” as you pull on her leash gently. When she moves towards you, reward her. Once she has learned this command on her leash, take it off and practice in the same way off-leash, making sure you only do so when you’re in an enclosed and safe environment. This command can be a bit harder for your puppy to learn, so be patient and keep things positive. Start by holding a treat in a closed hand, and hold it to your puppy’s nose. Then move your hand down to the floor so your dog will follow. Next, slide your hand so she keeps following, and once she’s in a down position, you say “down” and give her the treat. This is the command that will keep your puppy at your side as you walk together. Start by holding her leash in one hand and a noisy toy in the other. Place the toy above your puppy’s head and slightly in front of it. Say the word “heel,” and your puppy will follow the toy. After she’s followed for 20 seconds, give her the toy, and then take it and start again. Eventually you won’t need the toy because your puppy will walk near you all the time. Regardless of what breed your puppy is, never use aggressive tactics in your training. Always remain positive and patient, even if you have to keep training sessions short.